And our worried thoughts can stick around far longer than they should, as we play them over and over and over like our first Beatles album. Mental health professionals call this kind of twisted thinking cognitive distortion. 2. Overgeneralization (using words like “always” or “never”): You view setbacks in your recuperation as a sign of permanent defeat. 3. Mental filter: You pick out even the smallest of negative events and ruminate on them. 4. Discounting the positives (“Yeah, but . . . “): You insist that your accomplishments don’t count by pointing out what you still aren’t able to do well yet. 5. Jumping to conclusions (without clear facts to support your conclusion): You become a mind-reader (assuming that people are reacting negatively to you) and a fortune-teller (“I’ll never get better!”). 6. Magnification or minimization (also called “the binocular trick”): You exaggerate the significance of each symptom, or minimize your progress by shrinking its importance. 9. Labeling (an extreme form of #1): Instead of just saying, “I ate a piece of cake last night!”, you attach a negative label: “I was so bad last night.” And you might also tend to label the character of others, instead of just their behaviours, which can lead to feeling hostile or hopeless about any possible improvements in the relationship. 10. Personalization and blame (“It’s all my fault” vs. “It’s all YOUR fault!”): You hold yourself personally responsible for an event that’s not under your control, or you blame other people or their circumstances for problems, and may overlook ways that you contributed to a problem. ♥ Identify the distortion: Write down your negative thoughts so you can track which of these cognitive distortions have become your favourites. ♥ The Double Standard Method: Instead of self-talk that’s harsh or condemning, talk to yourself in the same kind and compassionate way you would talk to a friend in a similar situation. ♥ Thinking in shades of grey: Instead of thinking about your problems in either black or white, evaluate them on a scale of 0-100. Start thinking of things that don’t work out as you’d hoped as a partial success, not a complete failure. ♥ The Survey Method: Ask others questions to see if your thoughts and attitudes are realistic. For example, ask other patients (in person or in online support communities) if they have experienced similar situations. Q: Do any of these examples of twisted thinking seem familiar to you? NOTE FROM CAROLYN: I wrote more about the important topics of rumination and cognitive distortion in my new book, “A Woman’s Guide to Living with Heart Disease” (Johns Hopkins University, November 2017). Note from Carolyn: this post has been removed because the sender is trying to sell you something… See my site’s disclaimer policy. If these types of cognitive distortions persist then an evaluation for depression/anxiety is probably indicated. Neurochemical pathways are impacted in ways not yet understood when our bodily systems go awry. What we’ve labeled for centuries as psychological is actually neurochemical (and probably electromagnetic). Our thinking distortions are not just the result of social/economic/inter- and intra-personal responses or situations, but neurologically mediated. Congratulations on the book, the Kindle version I bought today and look forward to reading. Yoiks! Australians and New Zealanders must hate being confused for the other the same way we Canadians hate being misidentified as Americans! So sorry about that mixup, Len – I’ve now corrected your actual nationality in this blog post! Thanks for the link to your excellent blog. I revisited it just now and it’s really grown! Jam-packed with info on the emotional and psychological fallout of heart disease, including a separate section on women and heart disease (thanks for including Heart Sisters on your recommended resources list! You could now add my new book “A Woman’s Guide to Living with Heart Disease” to my listing when you have a moment! Thanks for your comment (and correction!) and Happy Christmas to you and your family, Len. Note from Carolyn: This comment in response to another reader has been removed because this is not a site where mean-spirited comments are tolerated. For more info on how to get your comment removed before it sees the light of day, read my disclaimer page. Amazing how our thoughts can go haywire and spiral out of control when we’re faced with having to deal with a heart attack or heart disease. Thank you for your post. Even as an eternal optimist (as others have referred to me), I too have had many of these twisted thoughts running through my head while dealing with my own heart disease. Really love this blog. Learned that you should always try to find the good in things. Boy Carolyn, I’ve had a heck of a 5 weeks that deserve some attention/time in your wonderful ed efforts. I want to use it as a teaching tool for others. My end result is a broken leg and no weight bearing for 6 weeks. All related to poor management of cardiac status, poor listening, cognitive decline in me due to meds, and how all of this 5 weeks happened. I’ll try and record a good timeline and see what YOU think. I know this ole 73 year old isn’t going down the drain due to a fall!!!! Hey, Lynn, I went through the broken leg thing, too, but 12 weeks of no weight bearing. It was my left leg so I could still drive. I’d pull into a parking lot, use my cell phone to call inside and request that they send out someone with a scooter. Worked like a charm. One small, natural foods grocer only had one scooter that was in use, so someone came out to get my grocery list to shop for me! Only one store refused, and I do not shop there any more. Good luck. I know that six weeks will seem like six months, but let people do things for you. It will make them feel better. 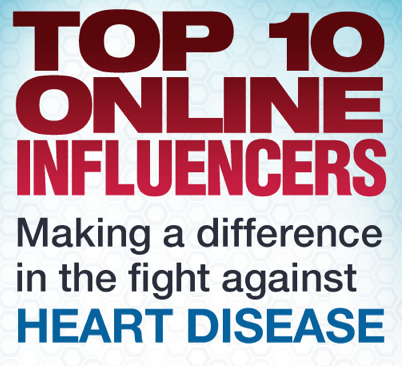 Thx for this – so interesting as I recognize my own go-to responses on almost every one of the 10 patterns not just with my heart health but in life in general. I am exhausted just thinking now about how much time and energy i have spent on such nonproductive ‘ruminating’ really over most of my adult life. Time to have a good Think about all of this. I’m going to look for Dr. Burn’s book too. Thank you Carolyn – lots to think about. This is a nice blog which describes pretty much every trap I’ve fallen into during my cardiac journey. However, I have one significant victory that I must share with people who will understand the significance. I saw my cardiologist two days ago, and for the first time in more than 14 years, he suggested that I see him again in six months! Woo Hoo! I really am getting better! Of course, I know I can call him whenever I need him, but the fact that he thinks that I’m well enough to go six months without a regular visit with him is a great reinforcement for me that I’m improving….a lot. I love your blog and thank you for everything you educate us about. I have brought you to many women’s attention. I hope you’ll address esophageal conditions and our hearts in the future. Thanks, again. First of all, Happy Heart-iversary to you, Priscilla! That’s a good suggestion (esophageal spasm!) I’ll look into this, and thanks for your kind words about my blog!